Rapidly making a major global comeback, Air Race 1 is adding adrenaline-pumping action to formula one air racing. 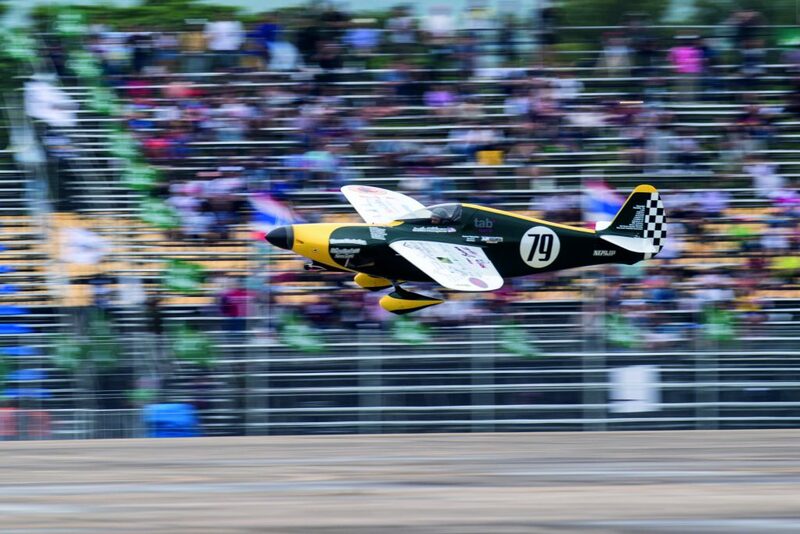 One of the most exciting forms of air sport has gained a new lease of life – the Air Race 1 World Series hit the global stage with a spectacular event in Pattaya, Thailand last 17-19 November 2017. 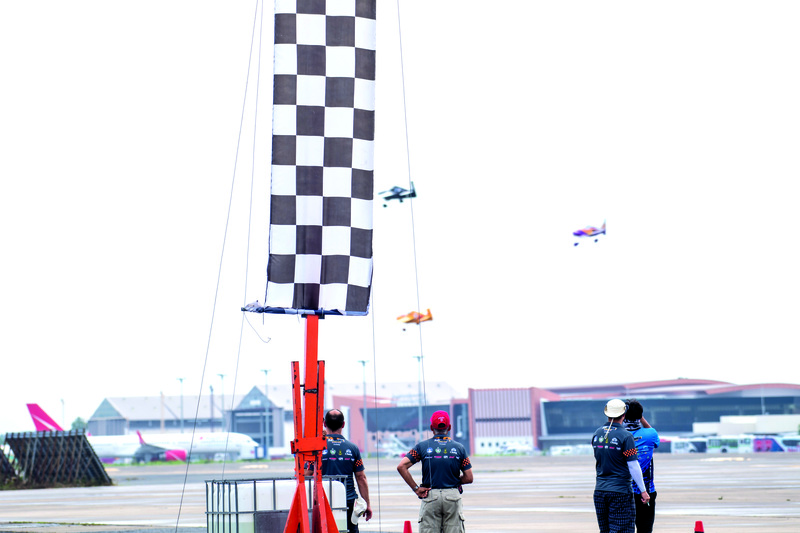 The series sees up to eight purpose- built single-seat aircraft per race taking off side by side before racing eight laps of a five-km course marked by six “pylons”. 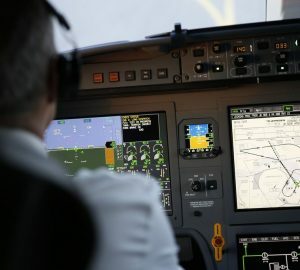 The original series started 70 years ago in the United States, but thanks to international TV, it is now attracting pilots and teams from around the world. Air Race 1 has its roots in midget racing, developed in 1947 in the United States. While those with the money ploughed their post-war savings into former World War II fighter aircraft to race in the Unlimited category, there was an equal interest in developing and innovating more affordable, purpose-built racing aircraft, powered by relatively inexpensive and reliable production engines, such as the 85hp Continental C-85, the most popular light aircraft engine of the time. No less than 15 of the new midget racers appeared for the inaugural race in September 1947, racing at top speeds of over 165 mph (260 kph), more than twice the speed of a typical light aircraft. The concept continued to develop, with a move in the 1960s to a newer and slightly larger 100hp Continental O-200 engine, boosting top speeds to over 200mph (320kph). Amazingly, despite many new designs, one of the most popular designs is still the Cassutt racer, developed in the 1960s by TWA Captain Tom Cassutt and based on the original 1947 race winner, Bonzo. 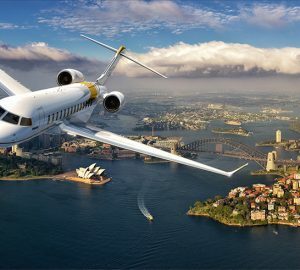 The aircraft is tiny, with a slender steel-tube fuselage covered either in a fabric, glass fibre or carbon composite skin, housing a cramped cockpit surmounted by a canopy only a little bigger than the pilot’s head. All formula one air racers are required to have fixed landing gear, which like the rest of the aircraft is carefully streamlined and faired to reduce drag, while the wing, although required to have a minimum area by the rules, is tiny. The original Cassutt ‘slab wing’ spans just five metres, although many more recent aircraft have been fitted with longer, slimmer, more aerodynamically sophisticated wings in the constant quest for more speed. Today the fastest laps are in excess of 235 mph (375 kph). 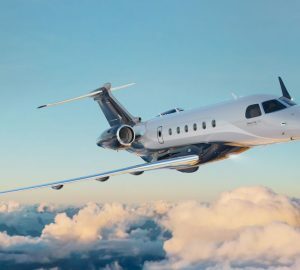 Air Race 1 directly stems from the week-long National Championship Air Races, held each September at Reno, Nevada, where the formula one air races are traditionally among the most close fought and spectacular, with three-dimensional overtaking moves on every lap. 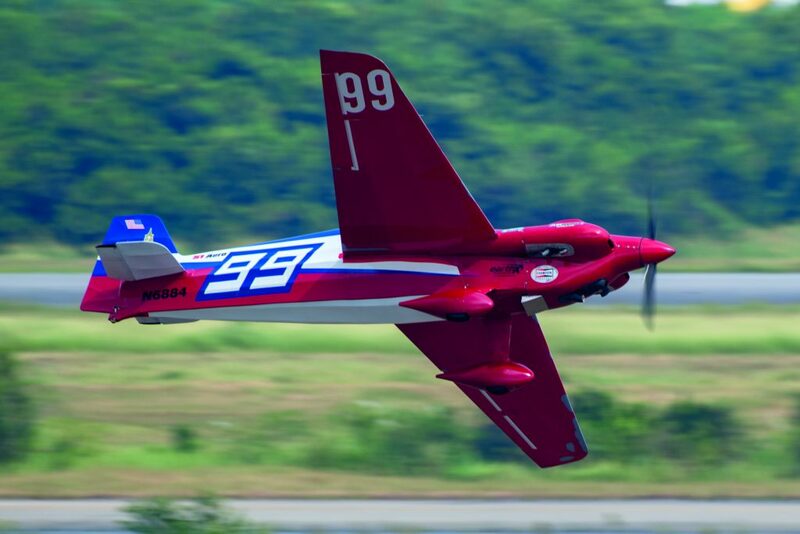 Unsurprisingly then, the highly experienced Americans ruled the roost when pilots from around the world congregated at the U-Tapao Naval Air Base, Pattaya in Thailand for Air Race 1 World Series. The airfield is a huge former USAF base. Originally designed to park no less than 90 of the giant B-52 Stratocruiser bombers during the Vietnam War, it was able of accommodate the entire racecourse on massive apron. There was also space aplenty for the race “paddock” in two equally impressive Royal Thai Navy hangars. After three days of heats, semi-finals and finals, Tim Cone of Fresno, California was crowned Air Race 1 World Series champion after a dominant performance in his Grove-Winged Cassutt racer #99 What Airplane Honey?, winning the eight-lap Air Race 1 World Cup Gold Final at an average speed of 227 mph (363 kph). Cone, whose aircraft was so named because his wife only discovered he owned it when she saw him flying it on TV, was initially relegated to third place at the race start. Cone though, rapidly caught and passed fellow Californian Justin Phillipson in his sleek Shoestring racer No Strings Attached for the race lead and victory. Such was their speed that each lap of the five-km course in front of packed grandstands was completed in less than a minute! Overseas pilots included Des Hart from Scotland, who suffered mechanical problems, but battled for second place with Canadian flyer Scott Holmes in the silver final before retiring from the race. Fellow Briton, Trevor Jarvis, briefly led the race, but dropped back to sixth, just behind the home team, Siam Air Racing, with #22 Hysteria being flown by Bangkok-based Parisian Lionel Mougel. 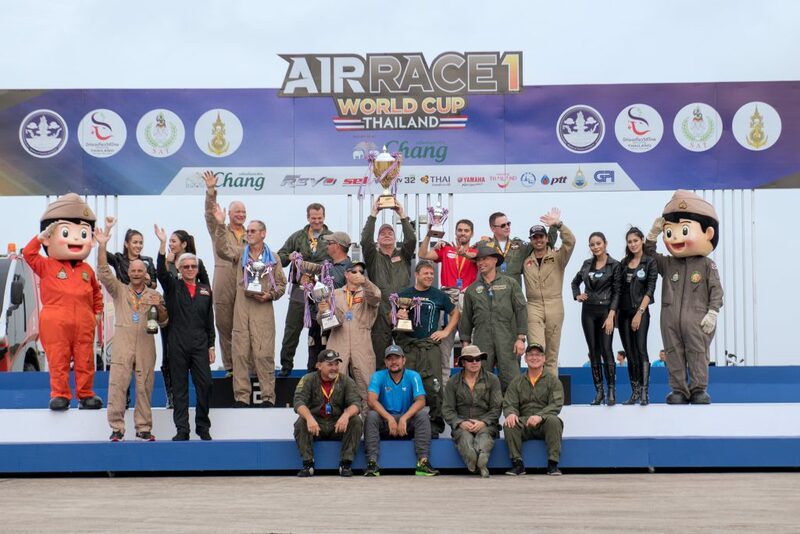 Over three years, from inaugural trial events in Tunisia, Spain and in Thailand, the Air Race 1 World Series has grown in size, presence and prestige to become a full- fledged international sporting event. It was noteworthy too that other potential racers from France and Spain were there scoping out the competition. Does this mark a new beginning for formula air racing as a global sport? Well only time will tell, but the diminutive racers certainly make an impression.